When our friends from Karson Butler Events asked us to collaborate with them on a stunning wedding scene for their ‘Vodka and Caviar’ editorial, we immediately began to dream. 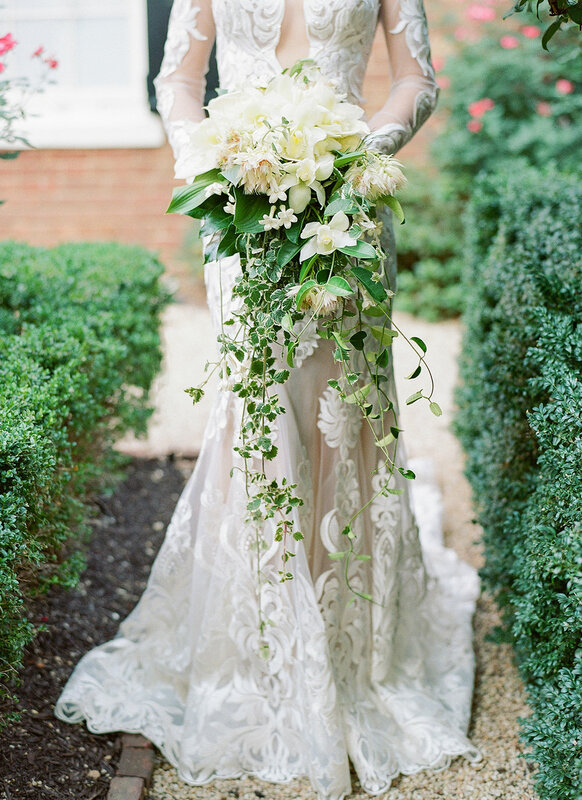 The shoot was on location at Decatur House, just off Lafayette Park from the White House. It was a black and white inspired, fantasy event set with crystal and antique silver. 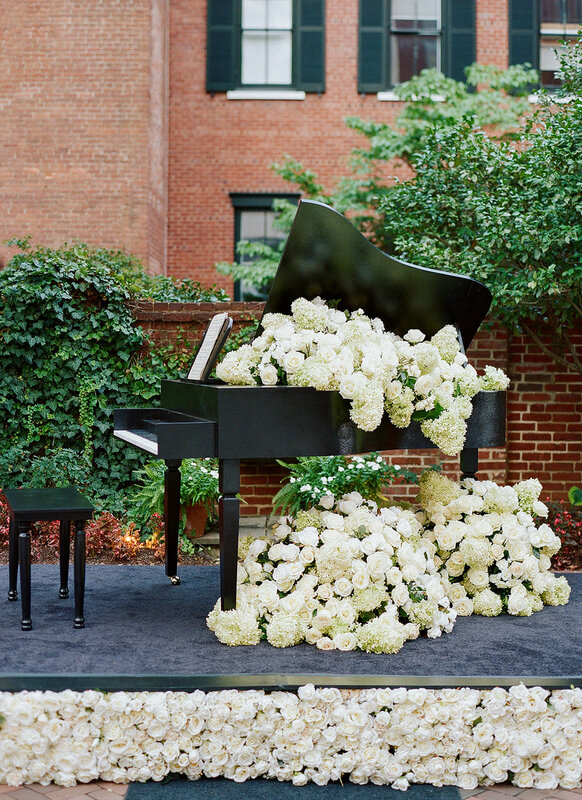 We created a bouquet that any bride would hope for and filled a piano to overflowing with cascading florals on a stage made to look like it was floating on flowers. A dream wedding, to be sure.